What do you get if you take a 1950s classic car as the inspiration for a new guitar build? Ali Kat Guitars has the answer. 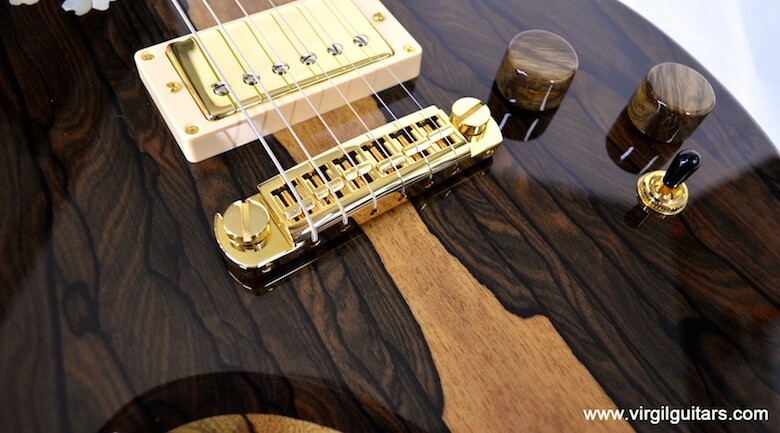 When most guitar makers start planning a new build they think about the wood. What to use, where to source it, in what shape to cut it. That sort of thing. Not Dave Garland of Ali Kat Guitars. Garlands instruments are made from sheet metal, inspired by, and usually incorporating bits from, classic cars from 60 or so years ago. Garland, a rockabilly fan, started out making double basses but soon switched to electric guitars. His first was described as a 'cross between a Fender and a 1957 Chevy' and bought by a man who owned a '57 Chevy. His second was fashioned after a 1959 Cadillac and included parts from a real Caddy. Another was inspired by a Ducati and used parts of the tank and seat from a real Ducati. Garland's keen to emphasise that he's not a luthier, but has had help from another guitar builder, Billy Mostyn. 'I am a sheet-metal worker who handcrafts guitars. Each guitar has a bespoke feel, with every part fabricated, rolled, welded and polished by hand,' Gartland explained. It's not just Fifties cars and modern bikes that inspire the Australian, however. One of his recent builds, the Batwing is inspired by a fictional vehicle, the Batmobile. It's wider at the neck end than it is at the bottom, has the Batman logo on the front, and hand-painted Batman artwork on the back. All Garland's guitars are hand built to order. And we can't wait to see what he comes up with next.